The goal of a homeowner’s association is to protect everyone’s investment in the property they own in the neighborhood or subdivision. Unfortunately, homeowner’s associations are notorious for stringent and misguided rules and regulations, and there’s a stereotype of enmity and adversarial behavior surrounding these otherwise useful organizations. One of the best ways to keep your HOA productive to your community is to get as many people involved as possible. But to do that, you need to organize productive, streamlined meetings that actually get things done, and lets everyone have a voice. 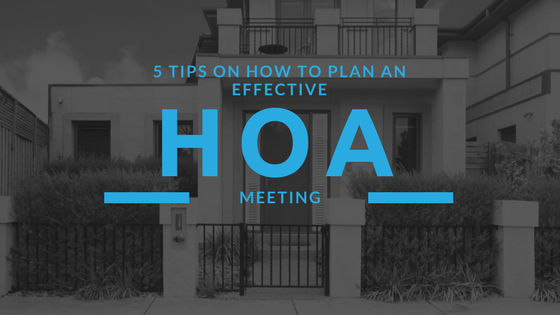 These tips can help you plan and organize streamlined, efficient, and effective homeowner’s association meetings. Planning can help you avoid needlessly lengthy and chaotic meetings that, in the end, don’t actually get much accomplished. A good meeting agenda provides a “road map” that everyone can follow to make sure objectives are met. 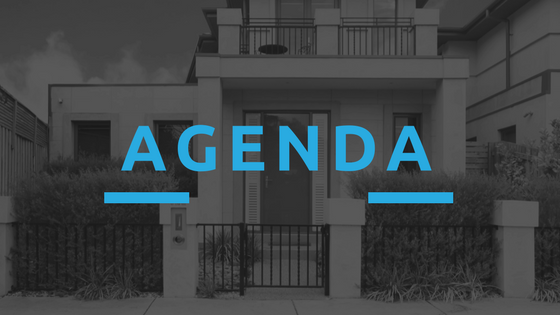 Here are some of the things you may want to include in your HOA meeting agenda. Executive session. This part of the meeting is only for leaders, and can be either before or after the open board meeting. This part is confidential, and you can create and disseminate your own materials for it beforehand. The Davis-Stirling act actually limits what you can discuss confidentially at these times. This can include legal issues, contracts, disciplinary hearings, issues with personnel, payments, and foreclosures. Call to order. This initiates the board meeting. Ratifying the last meeting’s agenda. This part is for discussing what happened at the last board meeting. Old business. You can set aside time to discuss unresolved issues from the last meeting, or things you tabled because you ran out of time. New business. This section is for new items that you’re introducing for discussion at the current meeting. This can include things that are covered at every meeting, like budgeting or financials. Open forum. An open forum for members allows everyone to have a chance to bring up things that they’d like to discuss. You can introduce time limitations to avoid overly long meetings. 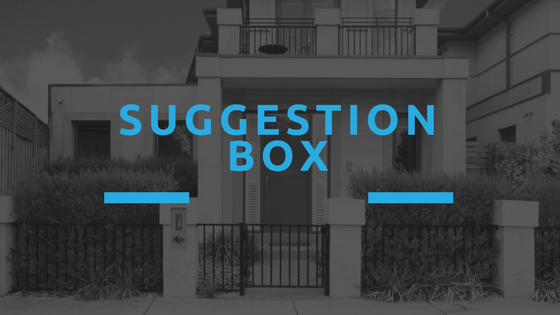 One way to avoid overextending your HOA meetings is to ask members to submit items for discussion in writing, in advance of the meeting itself. These proposals should ideally include enough information and background to help you anticipate how much time might be spent on questions and discussion. This prevents your meetings from bringing time-consuming surprises that drag out the meeting long into the night. 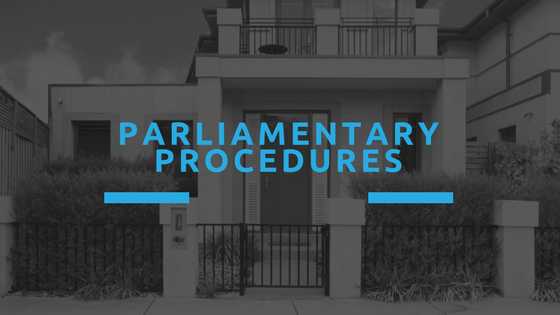 Parliamentary procedures are rules that govern meetings, and they can be useful for your homeowner’s association. Implementing formalized guidelines like “Robert’s Rules of Order” can help you streamline your meetings and increase the amount of progress you actually make during them. Here’s an example of parliamentary procedures for bringing a motion before an assembly. A member makes a motion. Another member seconds the motion. The chair states the question: “It is moved and seconded that…,” followed by relevant information. This generally makes the motion official. Members debate the motion, if applicable. The chair puts the question to a vote. The chair announces whether the organization voted to adopt or reject the motion. Of course, you don’t have to implement a formal parliamentary procedure to have productive homeowner’s association meetings. In some cases, a more casual approach can work just as well. However, if you’ve been having a lot of trouble keeping the meetings streamlined, civil, and focused on the issues at hand, implementing parliamentary procedures might help get your meetings back on track. Homeowner’s association meetings can have a positive impact on your entire community, especially if you follow these helpful guidelines. Get as many residents involved as you can. It’s important for everyone to feel like they have a voice, and that no one gets left out of important community decisions. You can poll your community to find out the best day and time to schedule the meeting, to accommodate the schedules of as many people as possible. Stick to your agenda. This helps eliminate potential tangents that could eat up time that would be spent on things more important. Take a break halfway through and serve refreshments. 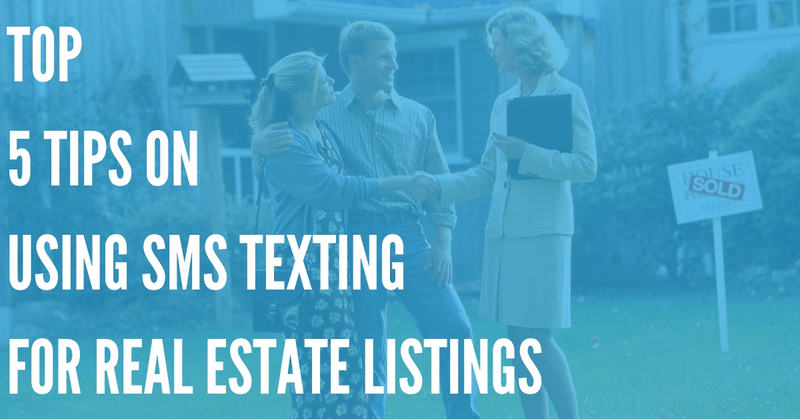 This breaks up lengthy meetings and gives neighbors an opportunity to chat and get to know one another, which is helpful for strengthening your community. It also makes the meetings more fun and enjoyable, encouraging people to actually attend them. 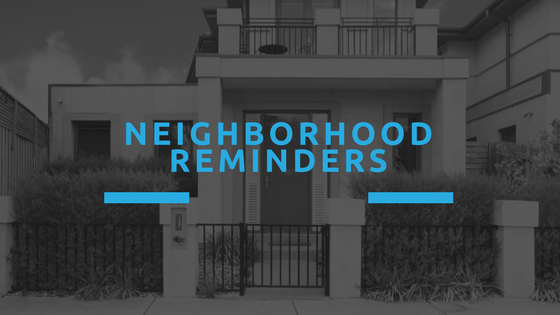 To get people to come to a homeowner’s association meeting, you’ll probably need to remind them ahead of time. You can use DialMyCalls to send out reminders in advance, making sure that everyone remembers the upcoming meeting. DialMyCalls is a mass notification platform that allows you to send out SMS or voice messages in bulk, so you won’t have to call or text each person individually. Simply get everyone’s phone numbers, and enter or upload them into the program. Then, you can create a custom reminder message and send it out to everyone on the list. A day or two after the meeting, you can follow up with everyone via DialMyCalls. You can also ask for feedback by setting up an inbound line with a vanity number, or by using DialMyCalls’ polling feature. 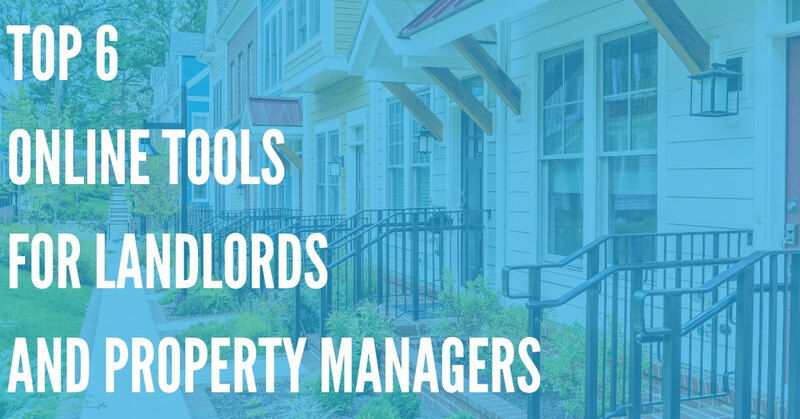 Homeowners’ association meetings are an important way to protect everyone’s property investment, but it’s also important for everyone to have a voice in major decisions. 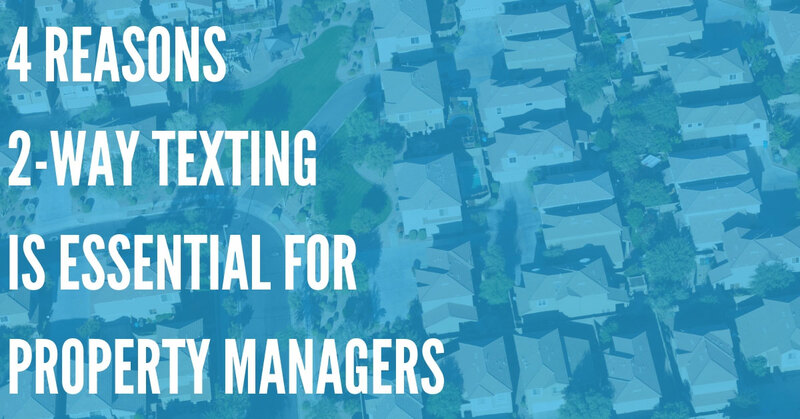 By creating streamlined meeting agendas and discussion protocols that work for you, as well as using DialMyCalls to send out neighborhood reminders and increase member turnout, you can start accomplishing more at your HOA meetings.